This amazing collection captured by a federal photographer of teenagers smoking weed in the 70’s will show you a different perspective. There are the kind of federal photographers capturing images of kids blazing up that undermine and stigmatize marijuana use– and then there are these federal photographs. These are the kinds of photographs that tell the truth about marijuana and those who use it. 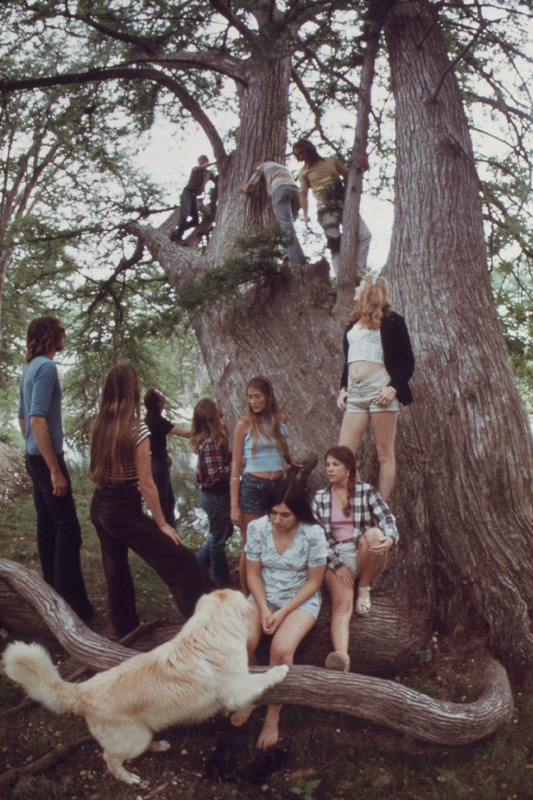 These images of kids toking on weed in Texas in the 70s were taken as part of a project launched by the Environmental Protection Agency about environmental issues. Marc St Gil was the contributor of these beautiful photographs, which he collected while researching air and water pollution in and around Houston, Texas. What he has captured through these images is an inspiring depiction of smoking weed in the 70’s. Looking at these images shows us how misinformed people have been about marijuana use over the decades and how little has changed about the love and the joy it brings to those who use it. Some might just call it hippy, new age philosophy that has no application in the real world, but it seems to be abundant among marijuana users. It is called love and the freedom to express it. Stoners are acknowledged for being the givers of free hugs and the free expressers of affection. The fundamental truth about marijuana is that it makes you happier, and therefore, makes you more open to sharing your love freely. Is that so bad? Over the years, marijuana use has been demonized despite the fact that stoners always lean towards more loving behaviour. On the other hand, Western society has continued to glorify alcohol use, despite how evident its connection to violence is. In these photos, it is clear that friends come together to smoke a joint together for no reason other than how much they love marijuana and they love each other. The kids in these images are keeping it natural in the most authentic way. Marijuana prefers to be used in nature because it is from nature, and in fact, works better when it’s used in nature. These guys are staying close to their earthly connections by smoking herb and swimming in rivers together. Despite the fact that there are many stoners out there who like to engage in the electronic world, there is a huge number out there who prefer to spend time outdoors when they are high. This is another virtue that just comes naturally to marijuana users – a better ability to connect with nature. This doesn’t just mean hanging out in the park. It also means sharing a smoke with friends in a beautiful environment. If you didn’t have friends, who would you share all of your favorite stoned moments with? It’s all about sharing, and these photos are a perfect example of that. Marijuana is just one way for two people to connect, but for two people who are enthusiasts, it is a great way to connect. It goes a long way to open the heart and the mind to truly give and receive the love. Well, the images portrayed of these kids toking 50 years ago in Texas don’t nearly make out the image of stoners that the USA was trying to make of them. The image is of a friendly, loving community who love nothing more than to share a joint together. What do you think of these artistic federal images? Let us know your thoughts on our social media or in the comments section below.